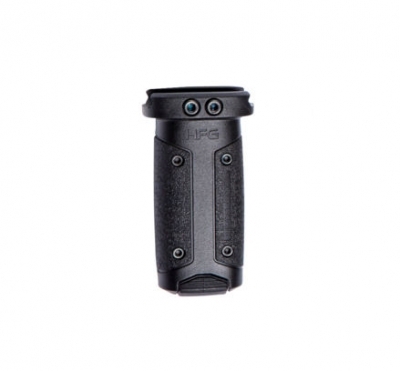 HERA Front grip (HFG) is an easy to install vertical front grip made out of fiberglass reinforced polymer. It is short and compact with a slim snag free profile. The exterior has a modern design with textured grip surfaces. There is an internal storage compartment that can be used to store a small tool kit.